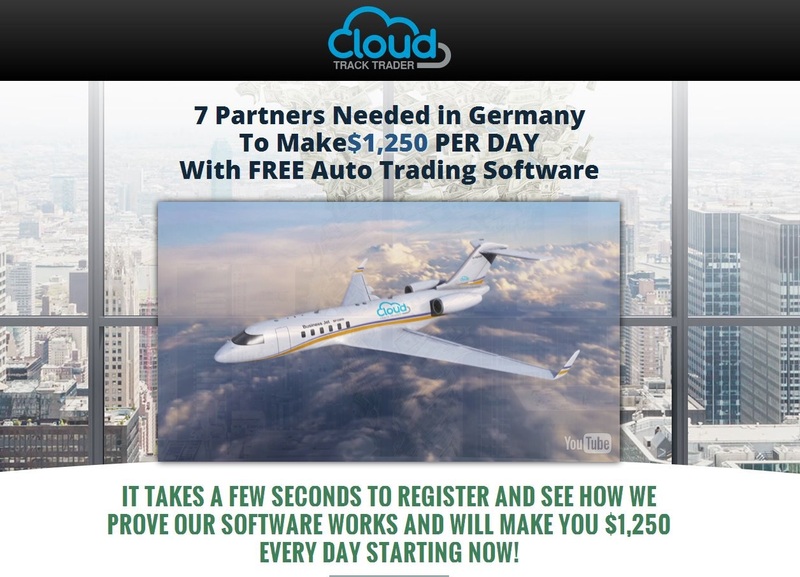 In this review of Cloud Track Trader we prove that it is a scam that abuses binary options. It is presented by James Christian. Christian claims that that Cloud Track Trader is a binary options trading app that has no losing trades. Thanks to this 100 % win ratio it allegedly can make you at least $1,250 per day. All this on autopilot, so you have nothing to learn. And because our website is full of free millionaires programs, Cloud Track is of course free too. Cloud Track Trader is of course just a scam that is made to lose your money. Because it is not really free, you won’t be allowed to use until you deposit at least $250 with a broker that will be dictated to you. Christian is a fictitious character made by scammers and played by a paid actor. In fact this guy is a famous scam artist. Look at the picture, we have seen him playing in scams like Maximus Profits or Cloud Trader, back then he called himself George Maximus and Matthew Shepherd. So when you see the face of this guy, you can be sure that you are dealing with a scam that will rip you off. Everything on the Cloud Track Trader website is fake. For example the team that allegedly is behind this project. Look at the picture on the right, you’ll see that scammers used stock photos. There is no real company behind this project. Another fake thing on the Cloud Track Trader website is testimonials. The Facebook and Twitter feed is obviously fake, because you cannot click any of the links to verify the identity of the people. Moreover there is no CloudTrackTrader account on Twitter. And on the next image you’ll see in the trading platform some alleged earnings that people made with this program. But as you can see, we did this review on a Saturday and on Saturdays markets are closed, so you cannot make any binary options trades! This proves that all these testimonials and trades have been faked. Do you want to know what is the real purpose of Cloud Track Trader? It is to make you deposit money with a certain broker, because that is what these scammers are getting paid for – referring new depositors to their partner broker. So they need you to sign up and deposit through their software. This is why they made up this story about a profitable software, they want to earn their affiliate commission thanks to you. If you deposit with their broker and let their software trade your account, you will lose your money. 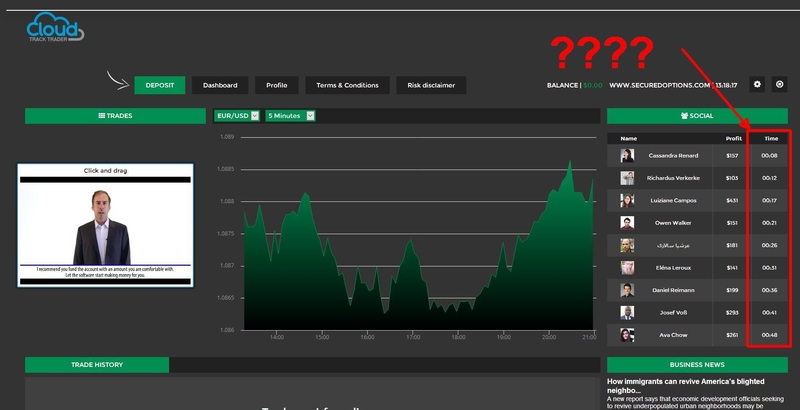 Cloud Track Trader is a simple scam that abuses binary options to make you lose money, because scammers cannot trade profitable. You can try a free binary options demo account to see how trading really works and what you have to learn in order to achieve real profits. No free program will make you money, you have to learn and test until you can trade profitably.